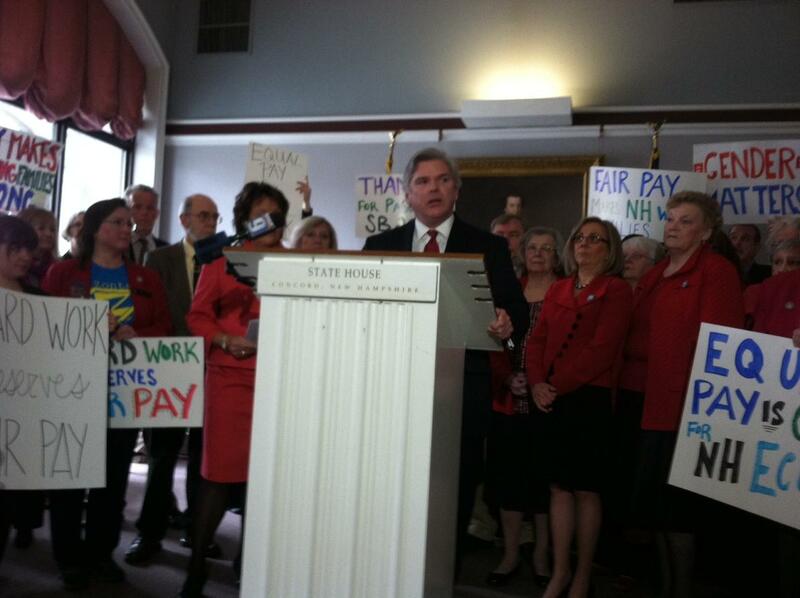 Supporters of the "Paycheck Fairness Act" rally in Concord last year. 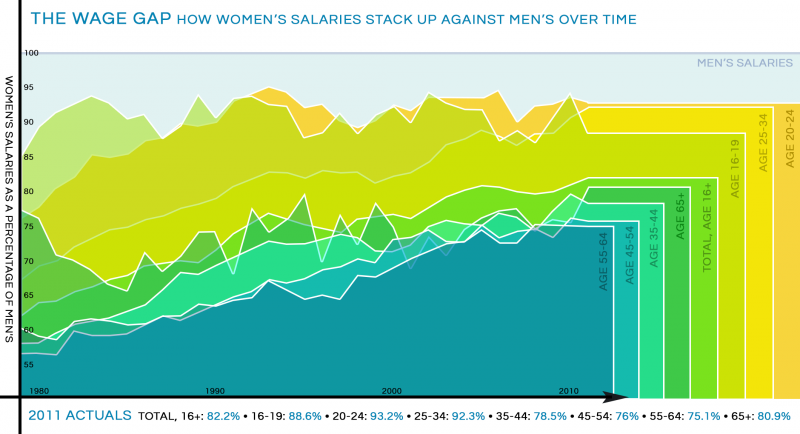 A new law meant to ensure women and men are paid equally takes effect Jan. 1. The so-called Paycheck Fairness Act includes a provision that makes it illegal for employers to forbid workers from talking about their salaries. Retiring state Senator Sylvia Larsen was a key sponsor of the bill and says the law also extends from one to three years the time workers have to file wage discrimination complaints. The state’s Business and Industry Association had objected to that longer deadline. When Governor Maggie Hassan signed the bill into law last year, she called it the most significant piece of legislation for women in New Hampshire’s workforce in a decade. After gaining unanimous support in the state Senate, a bill that aims to bring pay for women in line with their male co-workers went before the House labor committee earlier today.